A proven pattern that works most anywhere. 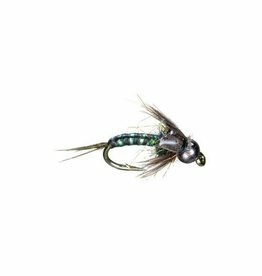 The silver tungsten bead sets this pattern apart from others. 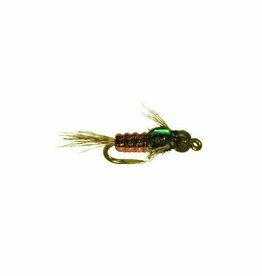 Two Bits (Tungsten Beads) make this fly a true winner for a dropper nymph in a double or triple nymph rig or in a dry/ dropper rig. 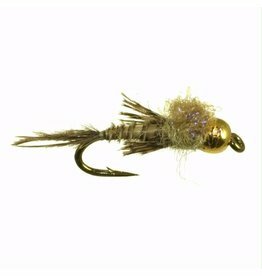 This is a fantastic Mayfly representation across the board, and works great as a general attractor. 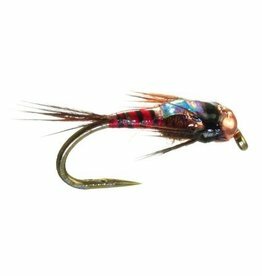 Charlie Craven’s big time mayfly nymph in a variety of colors. 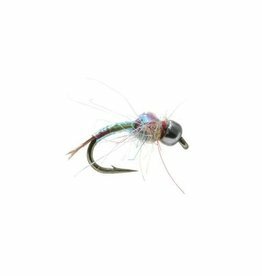 If you can’t catch fish on this fly, you’re not getting a drift. 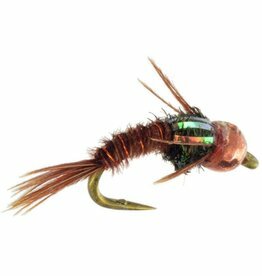 The Mighty May is a mighty BWO dropper that works well in mid water column or on the bottom. Very lifelike presentation. 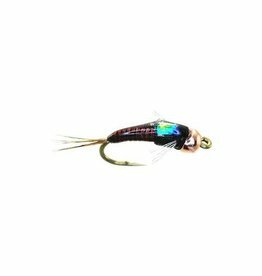 A very dark bead head hatch matcher Baetis Pattern. Exceptionally good during spring hatches. 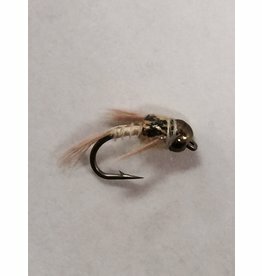 An excellent Baetis nymph using the qualities of vinyl ribbing for the body. 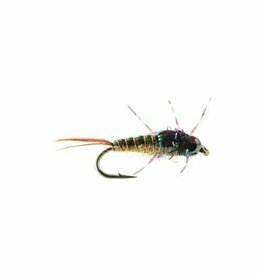 A very good Mayfly searching pattern. Tested on the Roaring Fork and Frying Pan. Quasimodo had a hunchback and so does this Pheasant Tail. 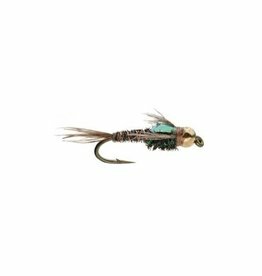 Tied on a heavy wire scud hook, this bug looks like the real deal in the drift. Fish it in all mayfly hatches in the right size. 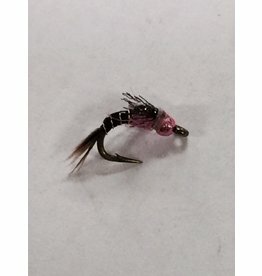 A very accurate bead head mayfly nymph in a perfect BWO color. The quill ribbing makes this fly act real.